The logistics industry is changing rapidly. The technological advancements in portable computing and connectivity have made stock control and management far more efficient. Most companies have introduced the use of mobile technology to track shipments and interact in real time. One of the newer technologies being used is the use of connected, mobile printers. These printers allow for cost effective labelling, barcode printing, receipt printing and much more. A portable/mobile printer is one that can be hand-held or carried on a belt to be used in the place the printed materials are needed. They are usually networked with the management system or ERP that the logistics company uses. 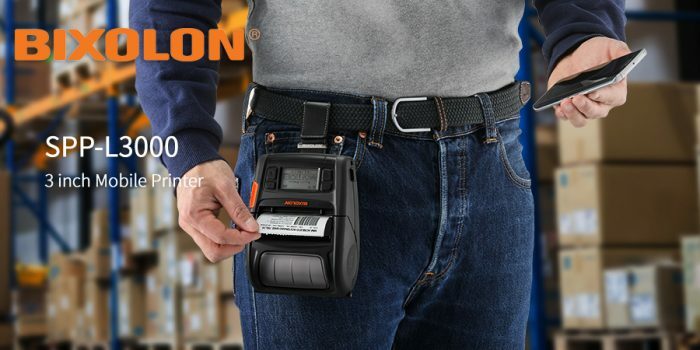 This can be through mobile connections, WIFI or Bluetooth to enable access to the information needed to create the printed item correctly. The devices are durable and lightweight to enable ease of use and in different environments. Thus, they are in use all over a warehouse, on the road, or even in the office. They can eliminate the need for handwriting documents that have to be kept, returned to and office and manually filed. They can be programmed to print barcoes, RIFD labels, tickets, receipts, etc. They key benefit to mobile printing is the efficiency it brings. Printing can be done at the point of need. The increased speed it can bring to managing stock and logistics, compared to the old way of doing things cannot be overestimated. When managing things between manufacturing, warehousing, delivery, etc., the technology is indispensable in today’s competitive environment. Mobile printers allow staff to print and label things as they handle them. This brings increased productivity and saves time-costs. This reduction in time needed to label items in the supply chain keeps costs under control. Using mobile printers drastically the number of steps needed for each members of staff to get to a central printer location. This allows employees to utilise their time on other work that must be done. There are a great many options for mobile printers. Logistics business managers face the challenge of finding a model that best fits the business. Factors to be considered while making that choice include what type of printing is necessary, the volume required, and how long the printed material must last and in what conditions. Therefore, rather than simply buying a printer based on its specifications, it’s in an organisation’s best interests to have a chat with Bixolon’s customer service representatives to determine which of our printers’ features and functions are the best fit.